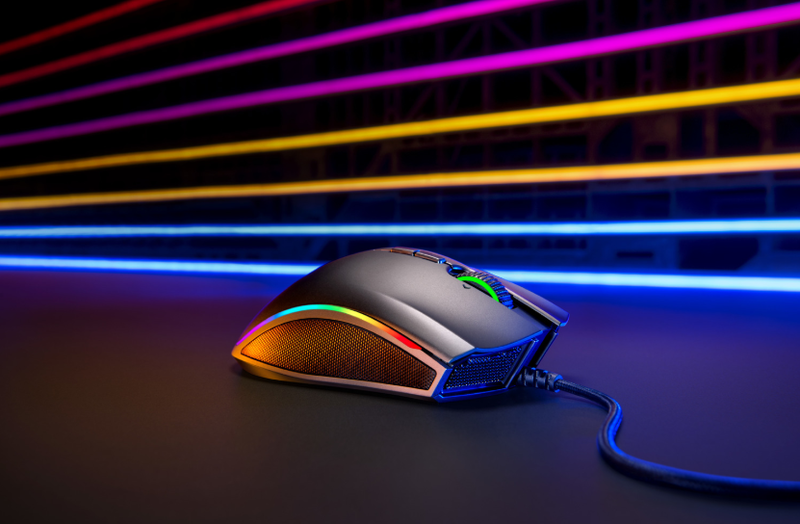 The Razer Mamba Elite wired gaming mouse is the latest addition to the Mamba line, and the successor to the Mamba Tournament Edition. Features include our Razer 5G Advanced Optical Sensor with 16,000 DPI, the same celebrated sensor used in the Razer DeathAddder Elite; and RazerTM Mechanical Mouse Switches, co-developed with Omron, with an extended durability of up to 50 million clicks. Other features include enhanced ergonomic shape; improved textured side grips; and 20 customizable RGB lighting zones. Benefits include superior gaming precision, performance and personalization. To deliver improved accuracy and durability, comfort and more lighting customization to the Razer Mamba.